I just visited my neighbourhood spa. It’s been in operation for about a year now and I’ve never stepped in till today. Prices are very reasonable. 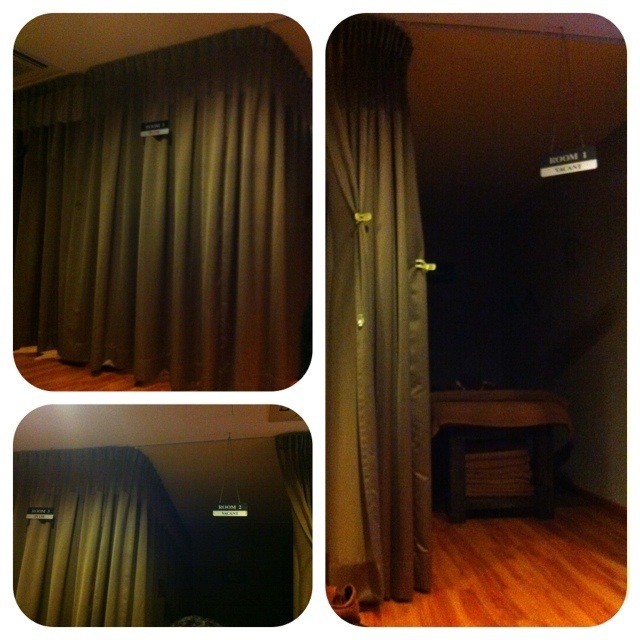 I like the environment. Very quiet but a slow stream of customers kept coming in. It’s great because it’s not crowded but it can remain a viable business. Operation hours are 11am to 11pm so I imagine that if I really need to, I can just cross the road and get a full body massage after work. 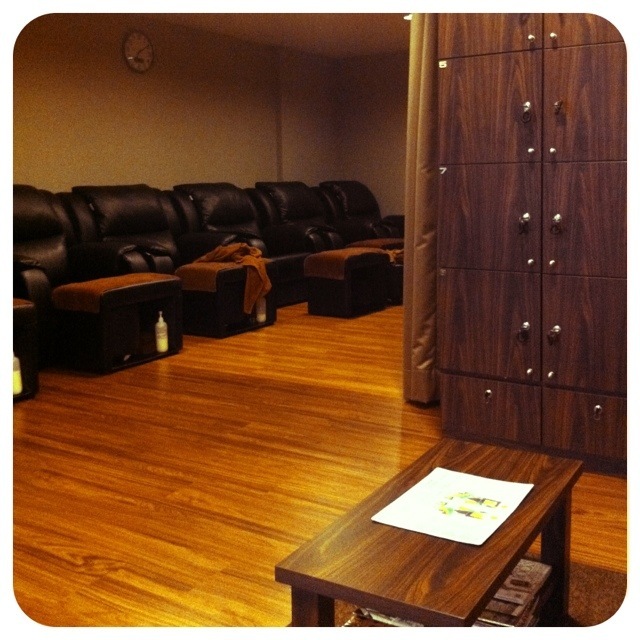 There are 4 body massage rooms, 6 huge foot reflexology armchairs (which can tilt backwards), 3 foot soak stations and a mani-pedi section. 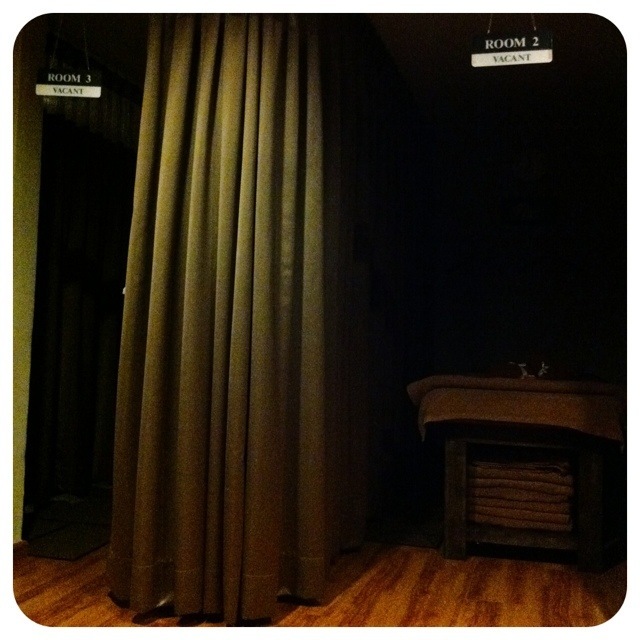 I went for a 40-min foot reflexology (yes I just went for one yesterday but I really think I need it). It was good! 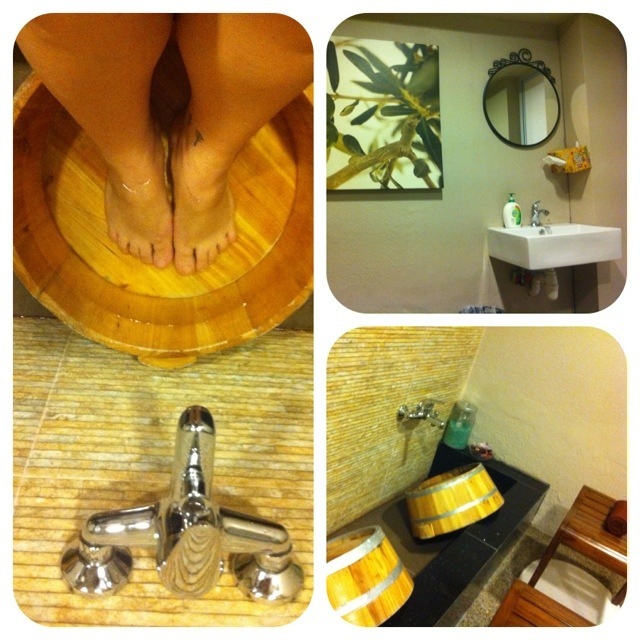 I was brought to a foot bath area for a soak with bath salts before the treatment. I was also given 2 hot towels (one before & one after), hot tea and some butter cookies (yum)! I appreciate the location’s convenience and the environment so after the treatment, I bought $100 worth of credits (additional $25 free) with no expiry date. 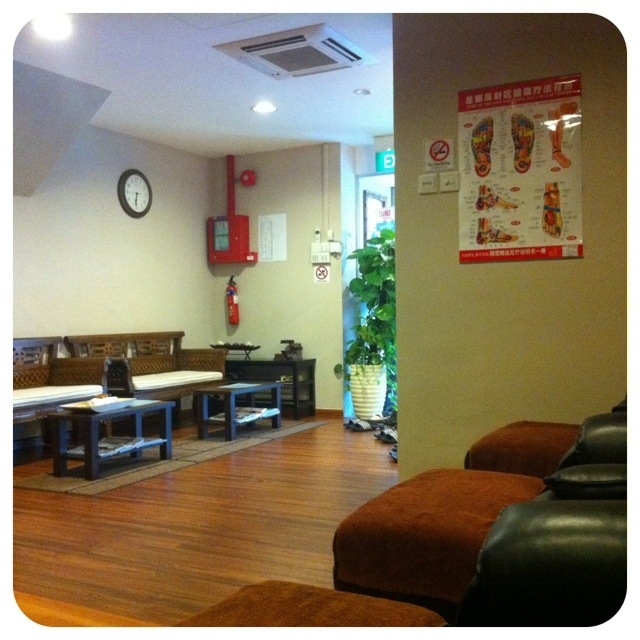 Categories: Rants & Raves | Tags: body massage, foot reflexology, Joo Seng road, macpherson road, manicure, neighbourhood spa, pedicure, Sennett estate, spa, the amenity traditional massage, upper Aljunied road | Permalink.